WikiLeaks founder Julian Assange was expelled from his hideout in Ecuador’s embassy in London Thursday and promptly arrested by London police on US charges of conspiracy. Assange was arrested moments after Ecuadorian President Lenin Moreno said on Twitter that the country had withdrawn his diplomatic asylum. Video showed a handcuffed and disheveled Assange being dragged out of the embassy and placed in a police van. The American warrant relates to an alleged conspiracy with US Army intelligence analyst Chelsea Manning in early 2010. In a US indictment, unsealed Thursday, prosecutors said Assange worked with Manning to hack a password on the Defense Department computer network holding classified documents. Assange’s exit from the embassy ends a nearly seven-year standoff between the controversial transparency advocate and British authorities. While he will initially face punishment for jumping bail, Assange faces a lengthy extradition battle over the US charges. At Westminster Magistrates Court, prosecutors painted a turbulent scene at the embassy, saying Assange tried to resist police by trying to barge past them into his room and yelled that his arrest was illegal. Assange, who was found guilty by judge Michael Snow of bail violations, will next appear in court on May 2. Assange read Gore Vidal’s History of the National Security State while he waited for his lawyers in court. The US warrant was filed in December 2017, his lawyer, Jen Robinson, said. President Donald Trump has had mixed views on WikiLeaks, urging the website to reveal stolen emails damaging to Hillary Clinton when he was a candidate. But after Trump was elected, his administration branded the organization a "hostile intelligence service." "The discourteous and aggressive behavior of Mr. Julian Assange, the hostile and threatening declarations of his allied organization, against Ecuador, and especially the transgression of international treaties" meant the situation is "unsustainable and no longer viable," Moreno said in a video message posted Thursday on Twitter. 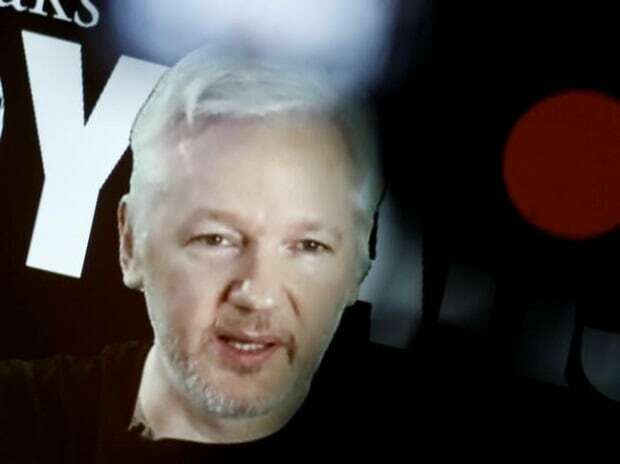 Moreno said he’d wrung a guarantee from the UK that Assange wouldn’t be extradited to a "country where he would face torture or the death penalty," according to a transcript of the video message. American prosecutors discounted the possibility of the death penalty, saying the US charge carries a maximum penalty of five years in prison. WikiLeaks and Assange became famous in 2010 when the organization published government secrets supplied by Manning. More recently, the website put itself at the center of the 2016 American presidential race by publishing hacked emails from Hillary Clinton’s campaign.